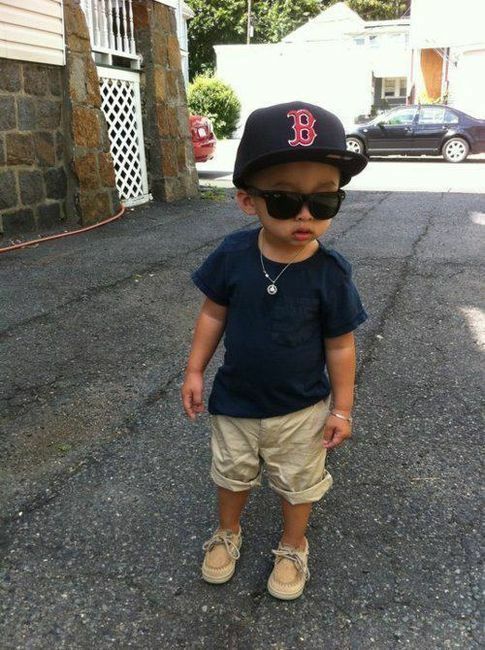 Sneakers look good on anyone! 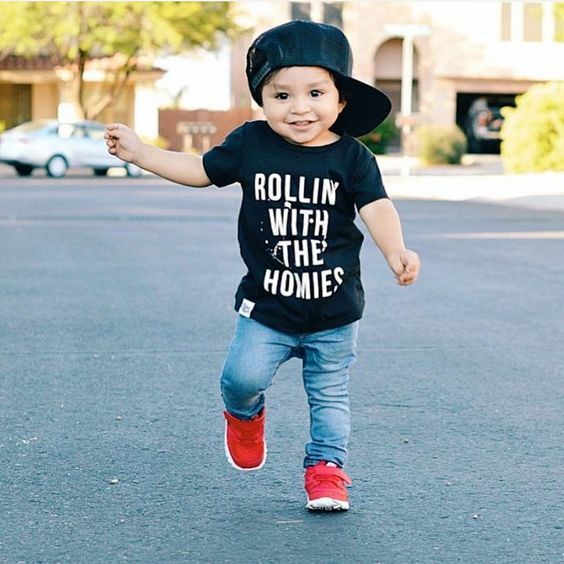 Men, women, little girls and boys – they are comfy and stylish and can match a lot of outfits. 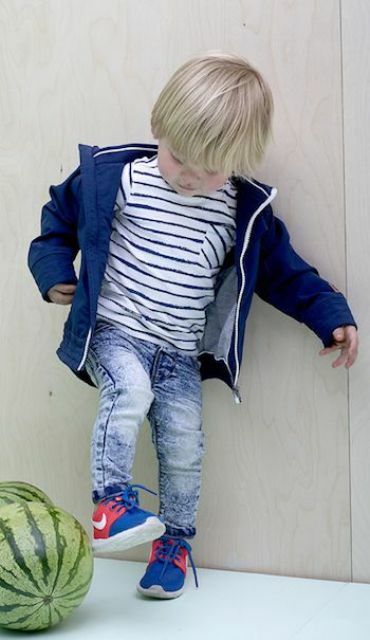 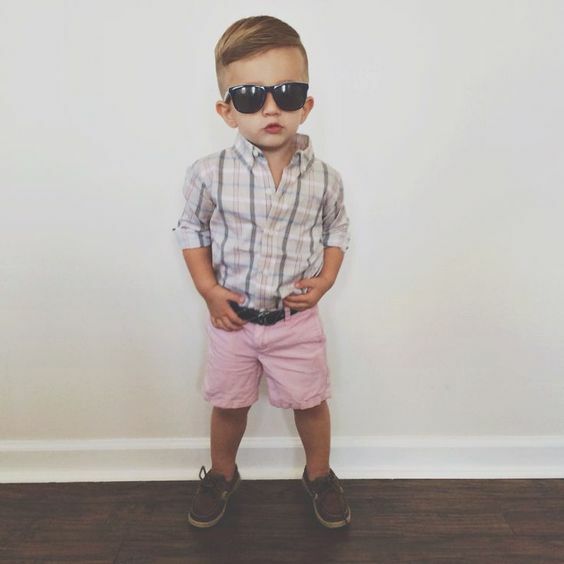 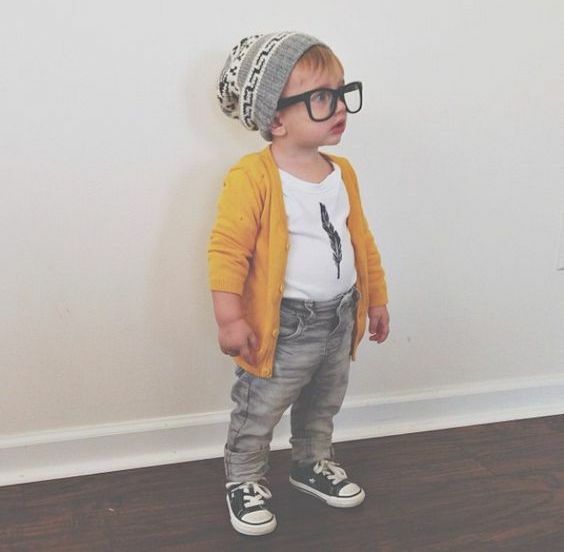 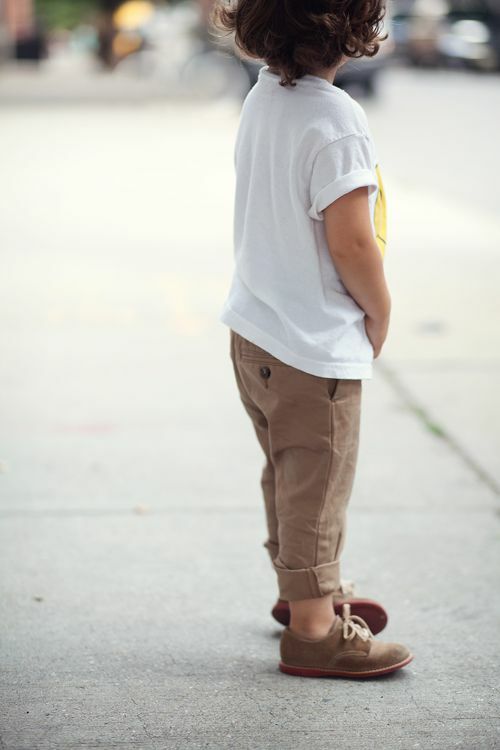 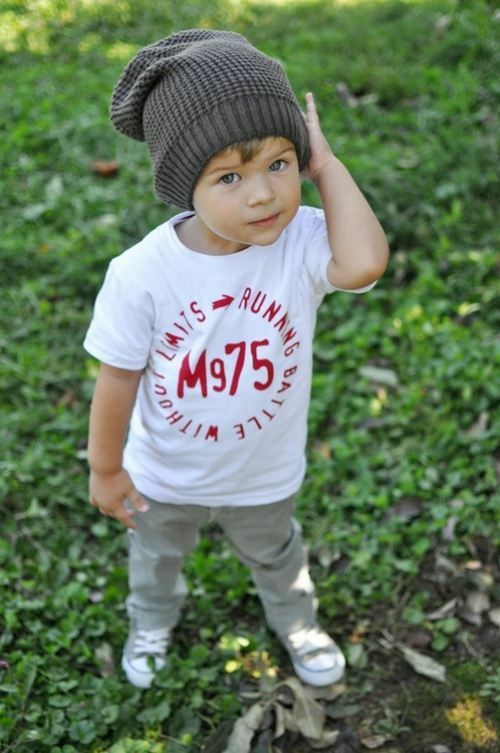 Today we’ll have a look how to dress your son with sneakers for this summer so that he looked the best way possible. 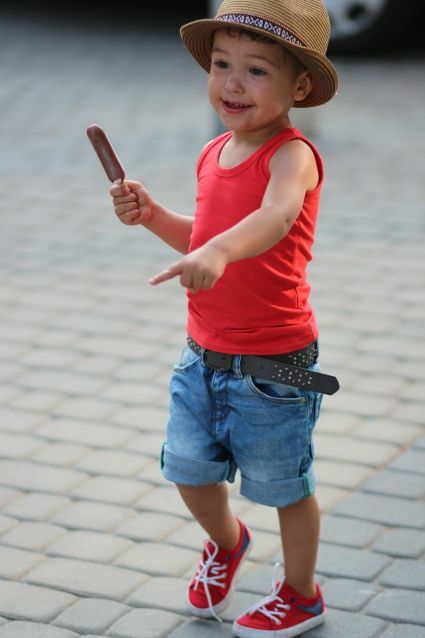 Shorts are the most popular item for summer for both girls and boys. 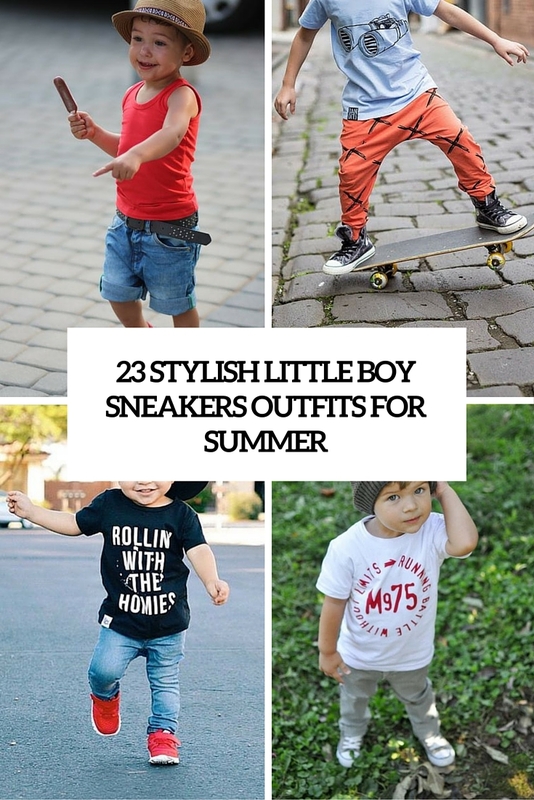 Style denim shorts or some usual ones of natural fabrics with a printed t-shirt or striped shirt and add a pair of sneakers your son likes. 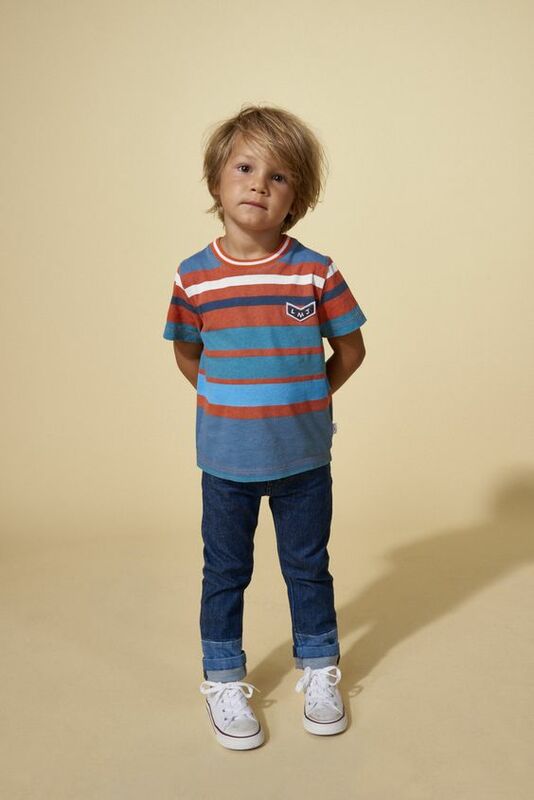 Choose bleached and distressed denim, which is in trend now or cotton and linen for your child not to feel boiling. 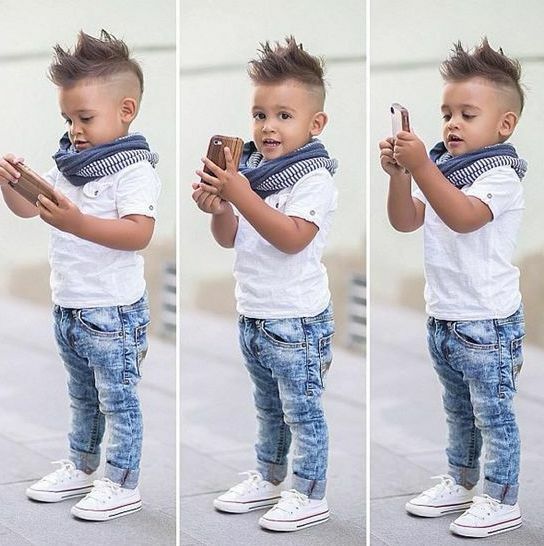 Jeans are great if the weather is chilly, they always look cool and casual. 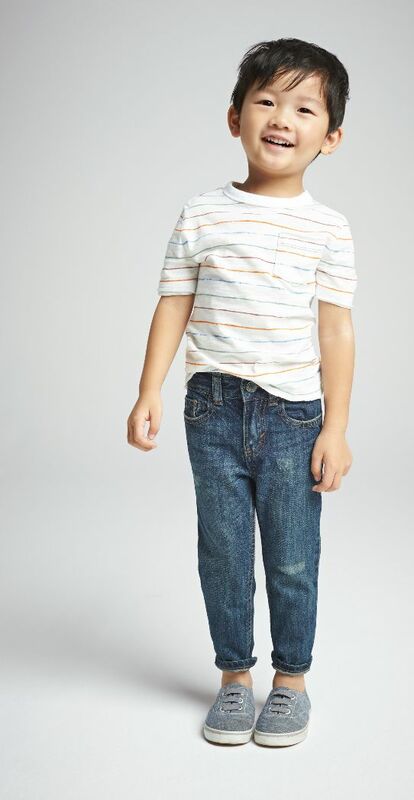 Again, choose bleached and distressed denim. 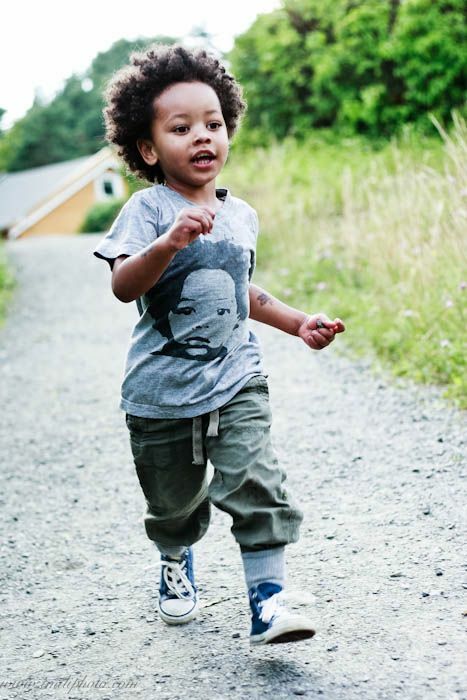 Add a polo, a tee or a shirt of any color and print you like and of course chucks. 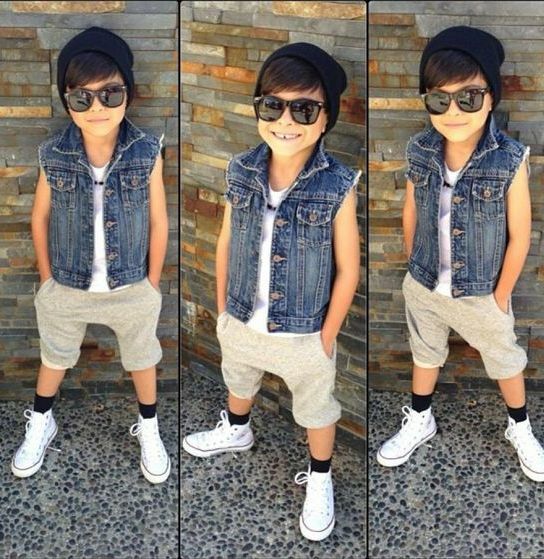 You can create different types of looks – seaside, casual, sporty or any other with such combos. 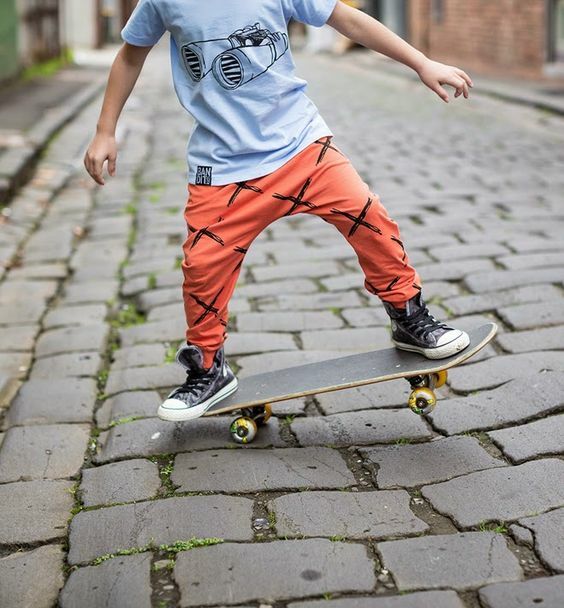 Cool sporty pants are a great idea to create a trendy look for your son. 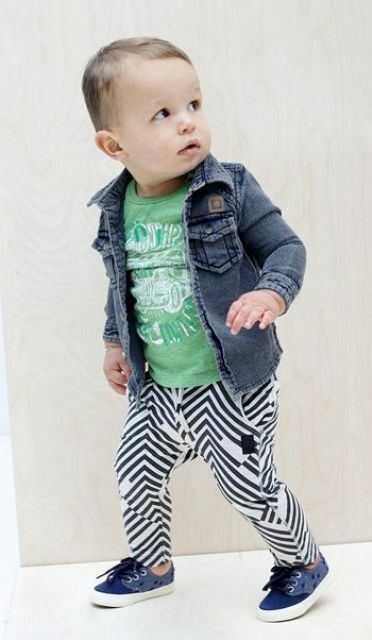 Choose printed clothes and his favorite chucks to rock. 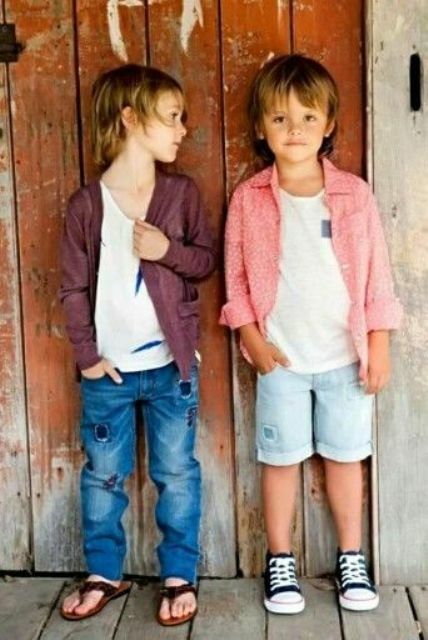 You can also find pants of natural fabrics and add a printed top to them for a light and comfy outfit. 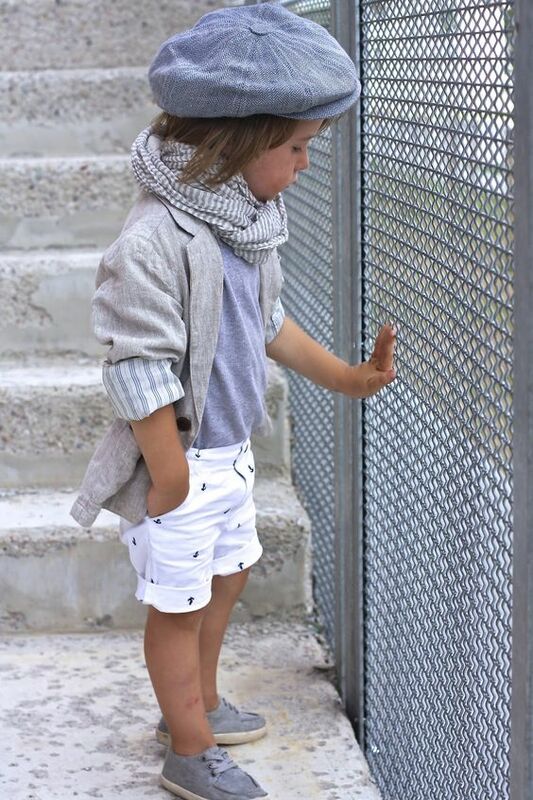 If it’s chilly, don’t forget a jacket or a cardigan for your little son.